Many people today have heard the term Yoga, and some may have even come across Bahkti Yoga without truly understanding what it means. One of the best ways to understand Bahkti Yoga is to look at one of its greatest proponents, the Shree Swamiji himself, Kripalu Maharaj. It is understandable how intimidating such a meditation might be, but realize that beyond being a religious leader and example for us all, the Shree Swamiji is also a man, a man like us dedicating himself to God. 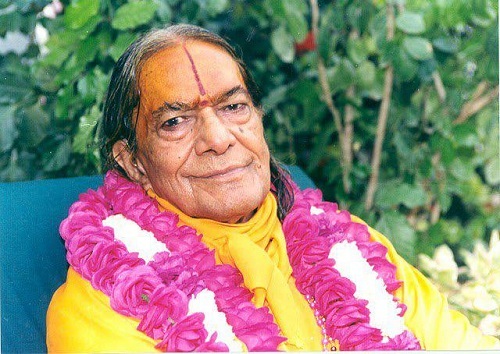 Kripaluji Maharaj was enlightened with understanding of the Bhakti ways when he was very young, and traveled most of his early life in the mountains of India in a continual religious pilgrimage. During this time, he truly connected with Radha, the loving deity partner of Krishnu, and found that the more he dwelt on the love they possessed, the greater a peace filled him. At a shining moment in his life the Shree Swamiji realized that to fill ones life with a devotion to the Divine Love connecting Radha and Krishnu was the most important thing in his life, and he put away all other desires, rejected the material world, and even turned down prestigious posts at various temples in an effort to wholly dedicate his life to God. But what exactly is the practice of Bhakti yoga? This web site will help you better understand the nature of this important practice, and what it can mean in your personal life. Although none of us may hope to achieve the connection with Radha Krishnu that the Shree Swamiji is blessed with, we can certainly attempt to incorporate appreciation of Divine Love in our lives.